On Saturday, December 20, 2014 I was hired to conduct an inspection on a 9 year old house. 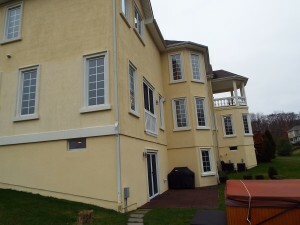 It was a large house with over 5000 square feet of living space, 6 bathrooms and 5 bedrooms. I arrived early, which I usually do, and introduced myself to the seller and asked for their permission to start the exterior portion of my inspection before the real estate agents and clients arrived. I was about 30 minutes into the exterior inspection (remember it’s a very large house) when the listing agent arrives and shares with me that this was the third time the house was under contract in recent months and for the previous two times, each potential buyer also had the house inspected. He pointed out that a few, small items were found but were fixed and that I should have a fairly smooth inspection. In case you’re wondering, I don’t know why the previous deals fell through and to tell you the truth, it doesn’t matter to me in a professional, home inspector capacity. Perhaps another inspector would have cruised the rest of the way home on this third inspection but I did not. Following are some examples as to why, in my humble opinion, you should hire Regal Home Inspections, LLC to perform your new home inspection. I climbed the roof! Even though the roof was only 9 years old, I still climbed on the roof. Here’s a view of the house from the side so you can see it’s a large home. Now the New Jersey Administrative Code that governs the home inspection process, NJAC Chapter 40, Subchapter 15 (13:40-15.17 Mandatory tools and equipment) states that the minimum required length ladder is 11 feet. I believe most inspectors meet this minimal requirement and lean on the law to avoid climbing on roofs. Technically an inspector can inspect a roof from the ground with binoculars. I carry a 22 foot ladder and when it’s safe to do so I climb on the roof. I have walked roofs by climbing a ladder. I have walked roofs by climbing out a window to access the roof. I have found issues with roofs and other components, like the chimney or flashing because I climb the roof! The easy way out here would have been to use the binoculars. Now there weren’t any issues on this house but for the client, I didn’t take the easy way out. Also according to the NJAC and the Standards of Practice that the NJAC includes, a representative number of electrical outlets (such as one per room) can be tested but all, GFCI outlets must be tested. The Standards of Practice, (as well as the National Electric Safety Code) require that all outside electrical outlets be GFCI protected. This has been the standard since 1973. So not only did the local building inspector miss this in 2005 when the house was built but two, licensed, (apparently) professional home inspectors missed the fact that the outside outlet on the balcony was not GFCI protected. I found out it wasn’t because I tested it because as a professional home inspector, following the NJAC, the inspector must test GFCI outlets. I don’t know who they were but there are two inspectors out there that didn’t, otherwise they would have found it. Once on the deck it took about 30 seconds to test the outlet with a GFCI tester. 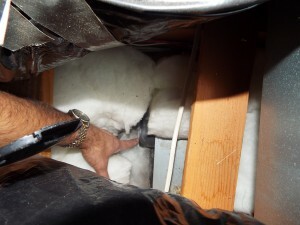 The outside outlet that was not GFCI is on the covered deck on the second floor which can be seen in the photo above. This house had over 65 windows. Now it’s possible that the one that I found that was cracked, wasn’t cracked when the other two inspections occurred. I’ll give them that. I did check the glazing and also found that one window had the thermal seal broken. The other inspectors should have found this however. The seller wasn’t even aware of that and it is a master bedroom window. Finally, while inspecting a bathroom I noticed some staining near the exhaust vent. This bathroom, apparently hadn’t been used in a while and I would bet dollars to donuts that the stains are not new. The stains looked like it might be mold but of course, without laboratory analysis, it can’t be determined conclusively in the field by naked eye. For an inspector, the staining should indicate the need for some additional investigation. When it was time to inspect the attic I made note of the direction and distance of the bathroom and the vent from the attic stairs. As I approached the area my curiosity was elevated because I didn’t see any exhaust duct work. That didn’t mean that it wasn’t there because it could have been installed between the joists. When I checked, I found out that the duct wasn’t installed at all. Ever since this house was built, the exhaust vent fan blew the air from the bathroom directly into the insulation in the attic. Luckily this was a spare bathroom that was rarely used (remember, this house had 6 bathrooms). Bath exhaust vent without any duct work. The bottom line is that I will do the best inspection possible. 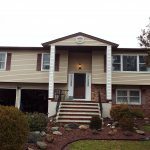 Combine that with my competitive pricing and I believe I offer the best professional home inspection value in New Jersey. For a house that was relatively new and that had been, “inspected” by two other licensed home inspectors within the past few months, this wasn’t the easy inspection I was told to expect. I would not have lowered my standards regardless. I have inspected $150,000 houses and I have inspected houses well in excess of $1,000,000. I bring the same professional skills and attitude to every inspection. Am I perfect? No I am not perfect. Will I do everything in my power to make every inspection the best inspection possible? Absolutely I will. About the author. 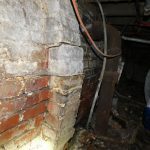 I am a NJ Licensed Home Inspector. I am the owner and Inspector at Regal Home Inspections, LLC. In addition to being a New Jersey Licensed Home Inspector I am also a NJ-DEP certified Radon Measurement Technician. I can also help facilitate the testing of septic system, chimney inspections and numerous aspects of oil tank evaluations. This includes oil tank integrity testing, tank locate services and soil samples. We work to ensure that the house you’re buying is sound or that you know of any issues.